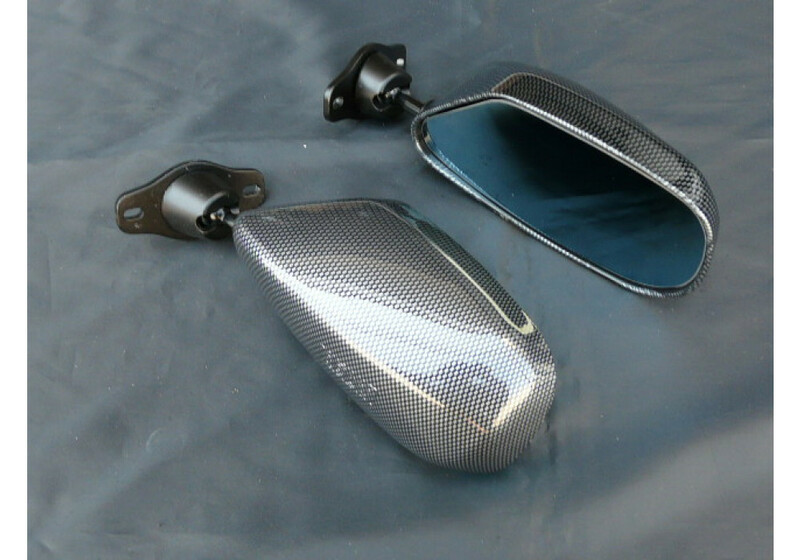 GT (F1) Mirrors that will fit nicely onto NA and NB (1989-2005) MX-5 Miatas. 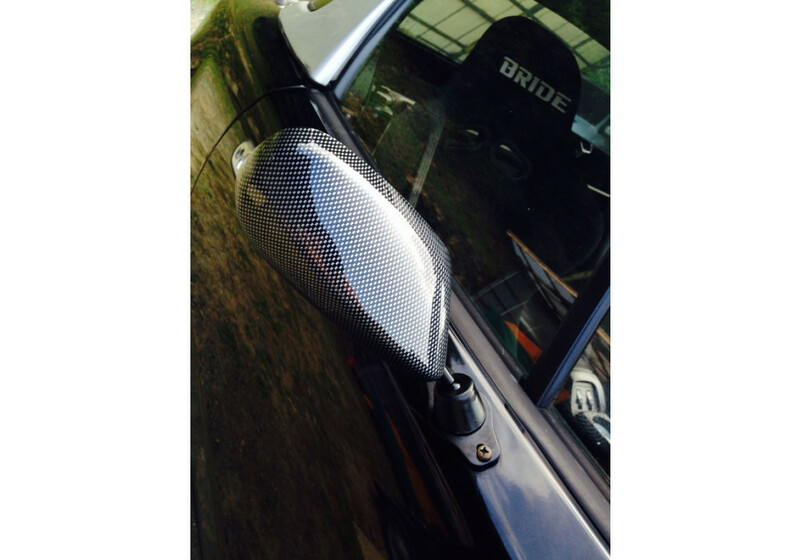 With an improved and lightweight design, these will give your car a nice racing look. Made of high-quality carbon plastic, it comes in a "carbok look" finish (please note it's not made of carbon fiber, but it has a carbon fiber-look pattern). Available for NA (1989-1997) and NB Miata (1998-2005) models. 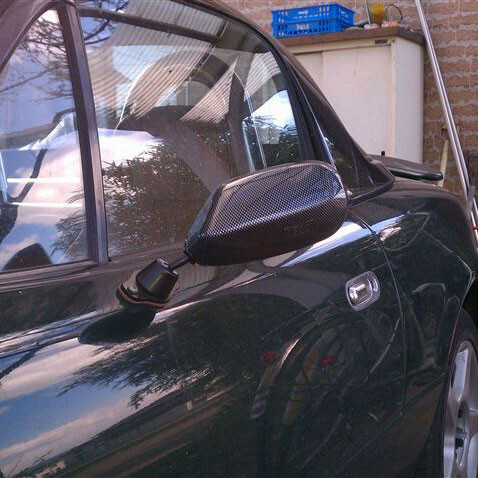 Please note that you need to reuse OEM mirror bolts to fit these mirrors. 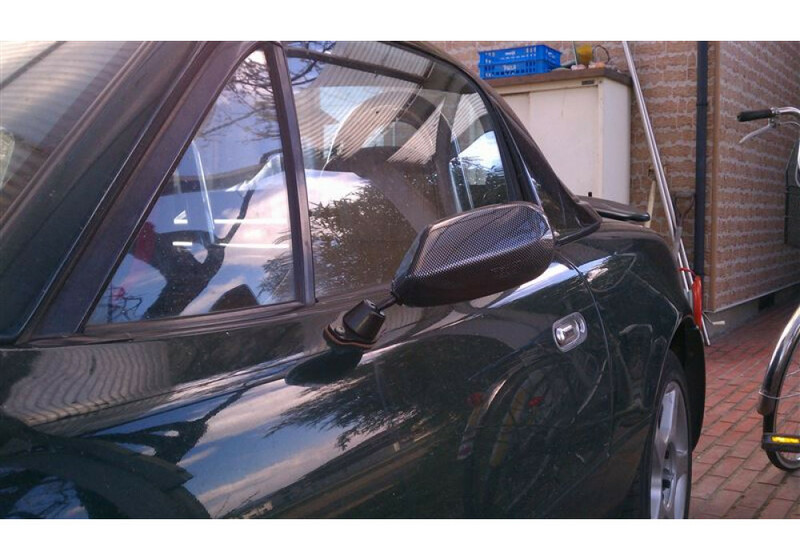 It is recommended to add small rubber piece between mirror base and door (optional). Zeromotive GT Mirrors should be ordered at REV9 Autosport https://rev9autosport.com/zeromotive-gt-mirrors.html as they provide the best service and speed we've seen so far!